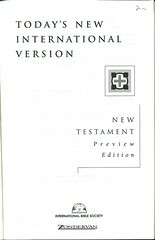 The TNIV appeared in a "Preview Edition" on January 28, 2002, and became available for public sale on April 22, 2002. 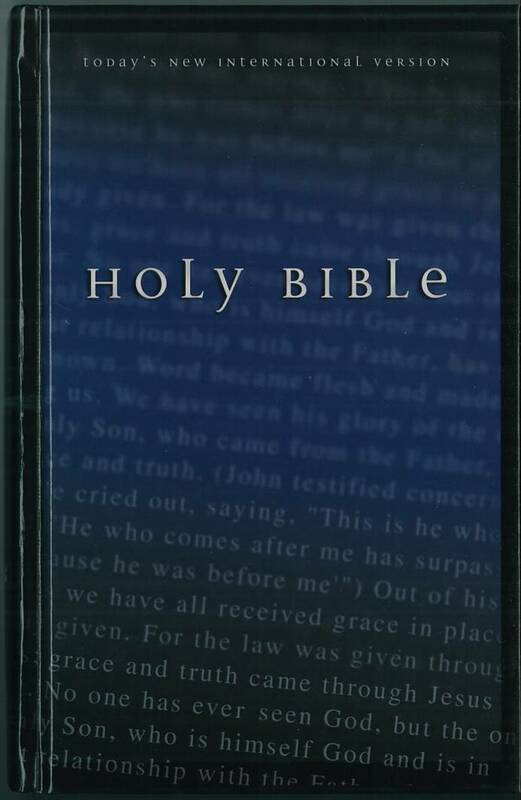 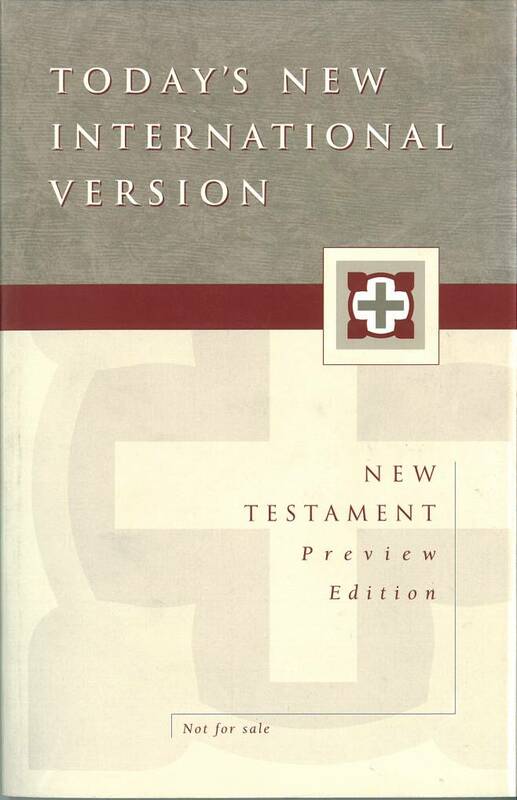 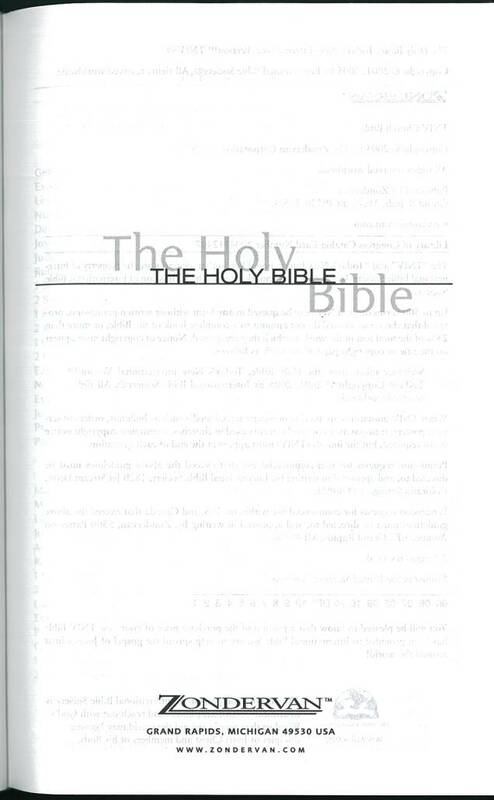 Click here to view a booklet produced by the International Bible Society and Zondervan in 2001 to introduce Today's New International Version. 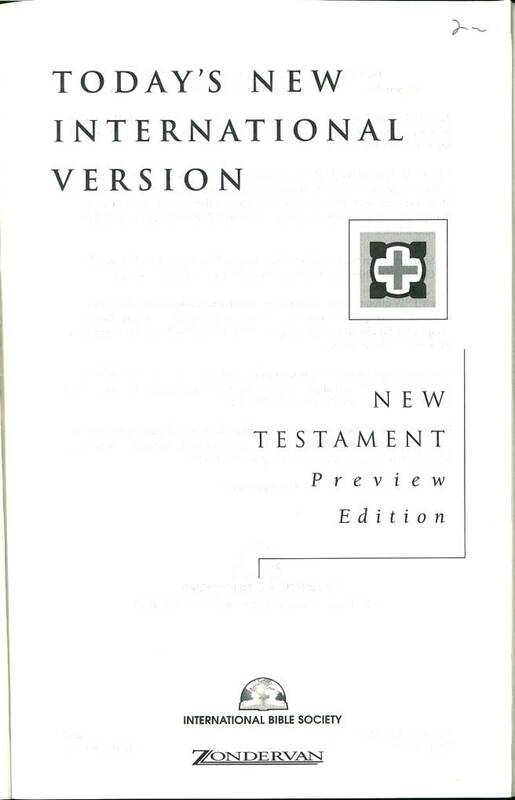 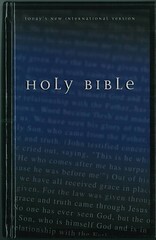 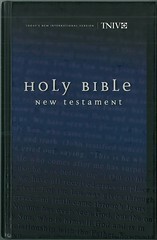 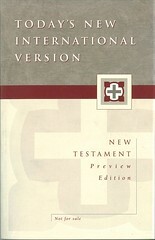 No new editions of the TNIV were produced after the 2011 revision of the New International Version was released. 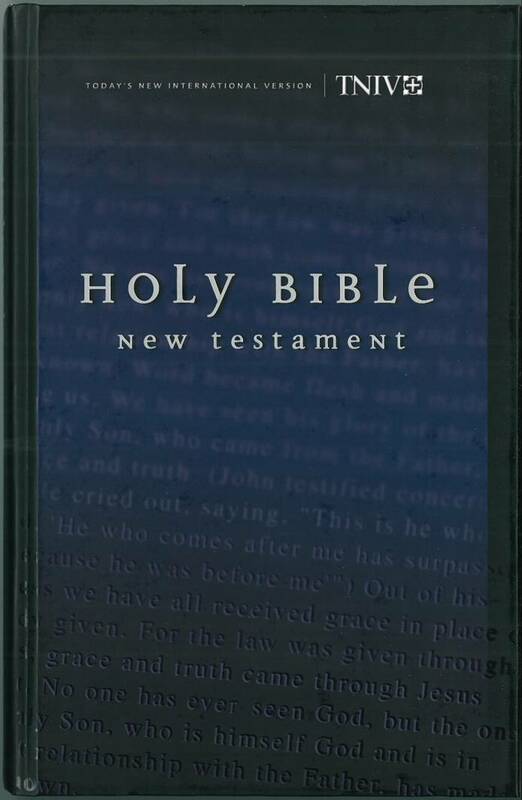 References: Taliaferro-BVE CN00069, Taliaferro-EELBV 9000.100. 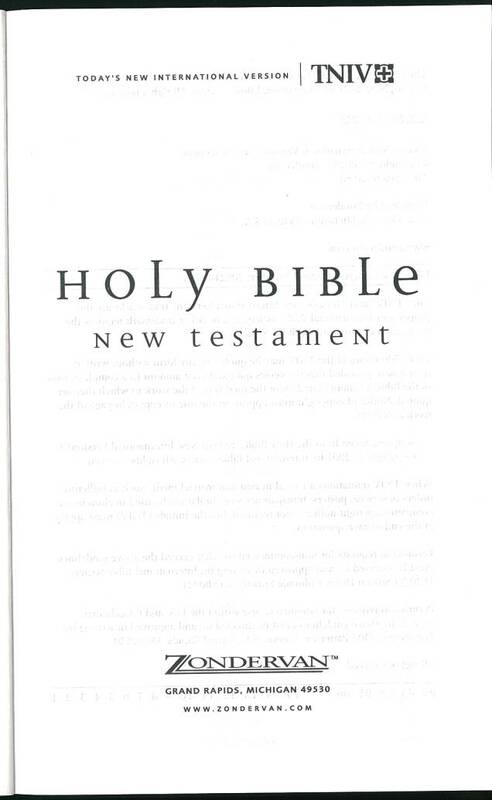 References: Taliaferro-BVE CN00069, Taliaferro-EELBV 9000.110. 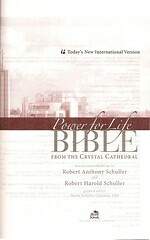 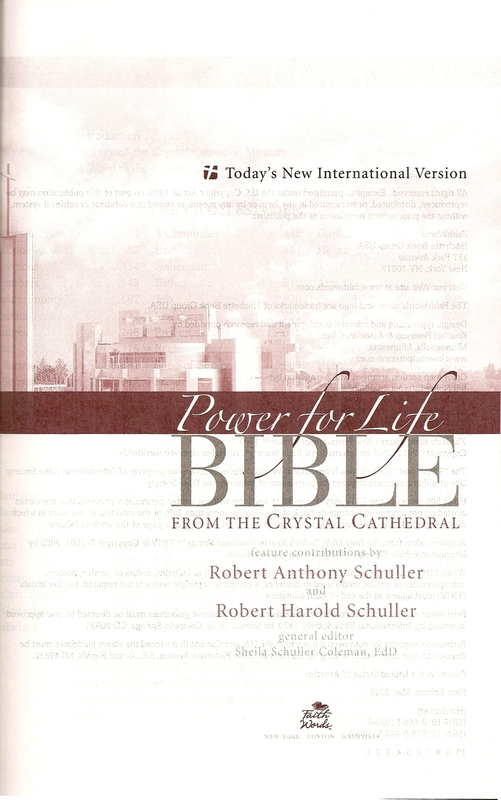 Comments: The Power for Life study Bible includes devotionals, introductions, biographies of Biblical figures, quotes, prayers, verses, and other tools. 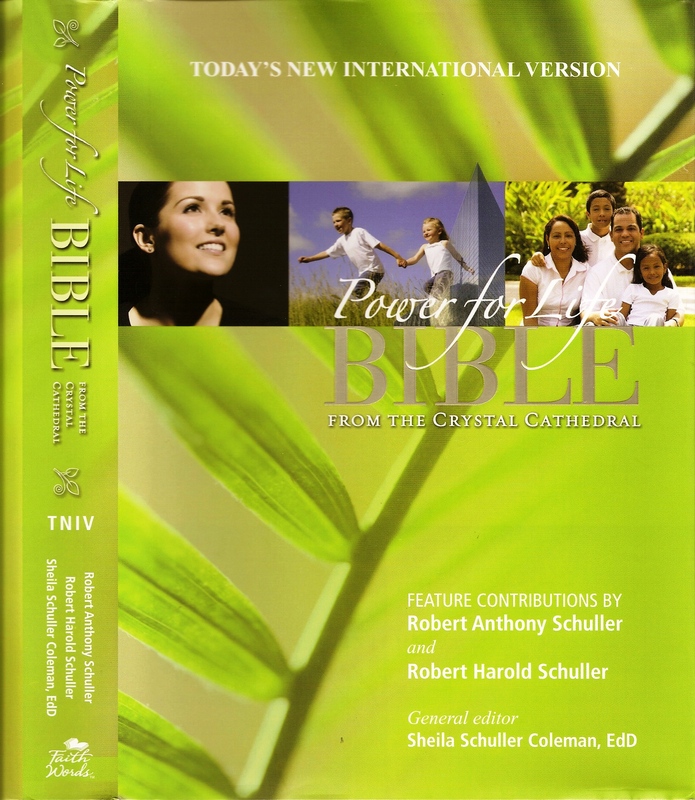 These features are designed to bring readers to the power of Jesus in their lives.